Fruits, berries, and nuts are an exciting way for food gardeners to expand their homegrown harvest with new produce. 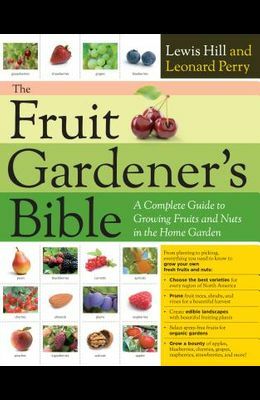 The Fruit Gardener's Bible is the complete reference on every aspect of planting, growing, caring for, and harvesting these nutritious, delicious plants. From the Back Cover Juicy, Ripe, Nutritious, and Grown in Your Own Backyard Bring the mouth-watering deliciousness of fresh fruit into your garden. Whether you're interested in planting a blueberry patch or a small apple orchard, adding a nut tree to your yard or incorporating raspberry brambles into your landscape, The Fruit Gardener's Bible is your complete resource. Covering everything from pollination to pruning, Lewis Hill and Leonard Perry guide you through every step of planting and harvesting fruit.